Endless running games are getting more and more popular, this is mostly because the games come with a simple concept: run or die. Today we’re going to talk about these types of games, so here is a list of some popular “endless running” games. If you enjoyed watching Despicable Me, we’re pretty sure that you will love playing this game. In Despicable Me: Minion Rush you will play as a minion and you will need to collect fruits in order to make jelly. However, you will need to watch out for vehicles, electricity wires and others. The game is developed by Gameloft and it is free. Like its predecessor, Temple Rune 2 is a free game that was very popular right as soon as it was added to the App Store. 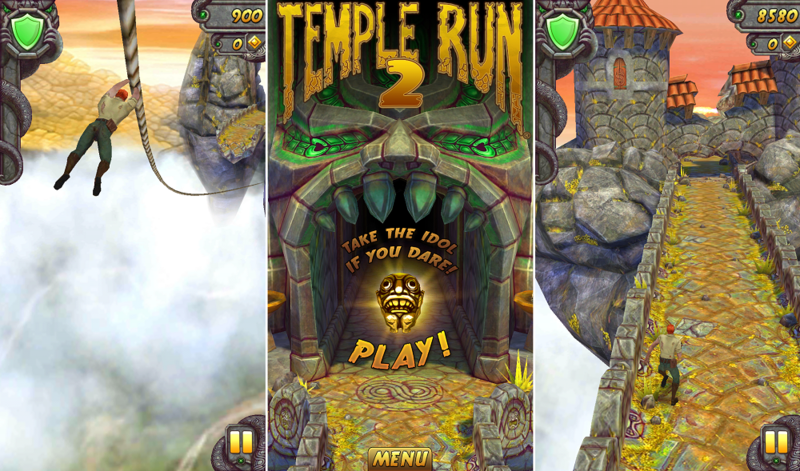 In just eight hours, Temple Run 2 made its way to the number two spot from the “Top Free Apps” tab. If you’ve played Temple Run, we’re pretty sure that you will enjoy playing this game. However, even if you never played Temple Run, we suggest you to give Temple Run 2 a try and install it on your mobile device. 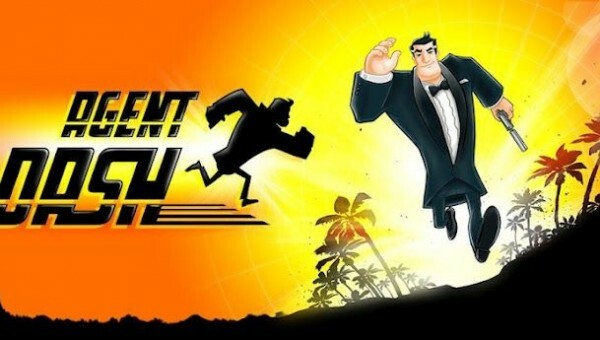 If you’ve enjoyed playing Temple Run, we’re pretty sure that you will enjoy playing Agent Dash as well. This game was developed by Full Fat, it is free and has swipe and tilt controls (like in Temple Run), so you will need to jump over obstacles, slide under them etc. You will also need to avoid barrels of toxic water, trees and laser beams. Also, keep in mind that you can cling to a random side by tilting your device in order to not fall into the lava. Using the gems that you are collecting while playing, you are able to unlock power ups, gadgets and more. Simutronics Corp, the developers of One Epic Knight, brought some stunning graphics to this game. You play with a knight character that has a sword and you can use it to break obstacles. However, there are some obstacles that can’t be broken and you will need to dodge them or you will die. In order to control the character, you will need to swipe right and left. The game is free and can be downloaded from the App Store. 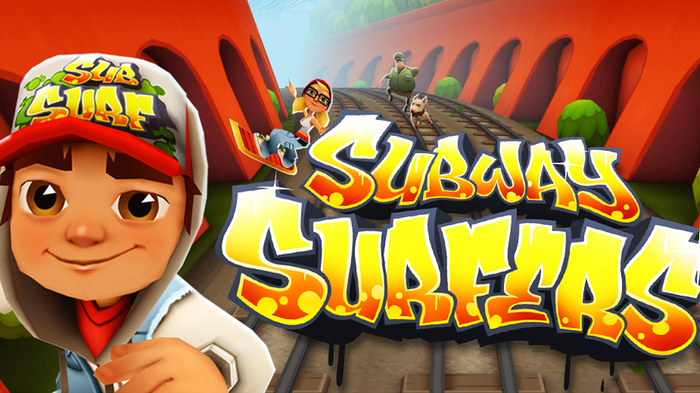 Subway Surfers is another endless running game that comes with some great 3D graphics. Because of its great graphics, the game is being enjoyed a lot by younger people. This is also a free game that can be downloaded on your mobile device. 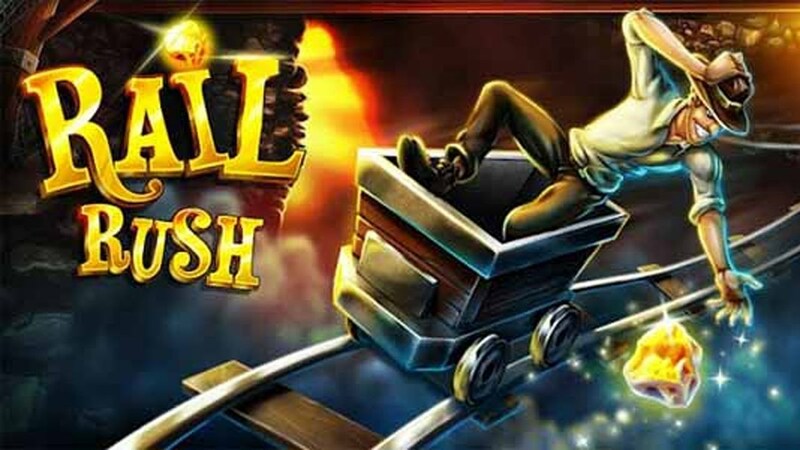 In Rail Rush, you will need to hop in a cart and start your journey in the endless caves. You will need to jump from a railroad to another or else you will die. Aside from this, you will also need to collect gold and gems in order to enable power-ups. The game has been developed by Miniclip and it is available for free in the App Store. 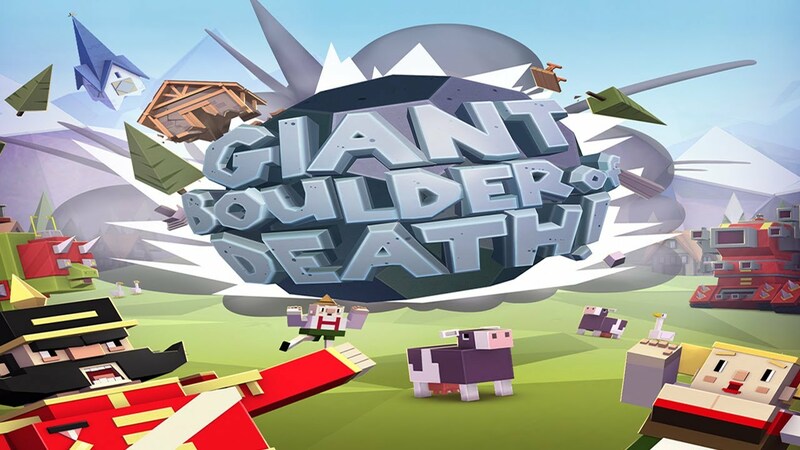 Giant Boulder of Death was developed by Adult Swim Games and it is free. However, this game takes a different approach on the endless running game category. In this game, you are a giant stone boulder and your goal is to destroy stuff. However, you will still need to avoid traps that can turn you into pebbles and end your “destroying spree”. 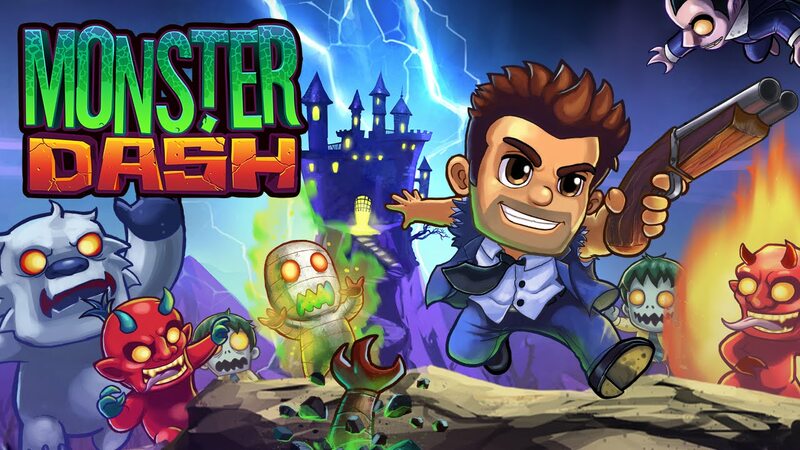 In Monster Dash you are constantly running and killing stuff with your rocket launcher. After killing a monster, it will drop coins, which you will need to collect. The game is pretty interesting, even if the camera angle is a bit different and it looks more like the old fashion “Super Mario” game. The game has been developed by Halfbrick Studios and can be downloaded from the App Store for free. If you are tired of collecting gems and coins, then we suggest you install “TheEndApp” game. This game has been developed by POSSIBLE GAMES Kft and it is FREE. The game is quite similar to Agent Dash and Temple Run, but it is quite different when it comes to setting. 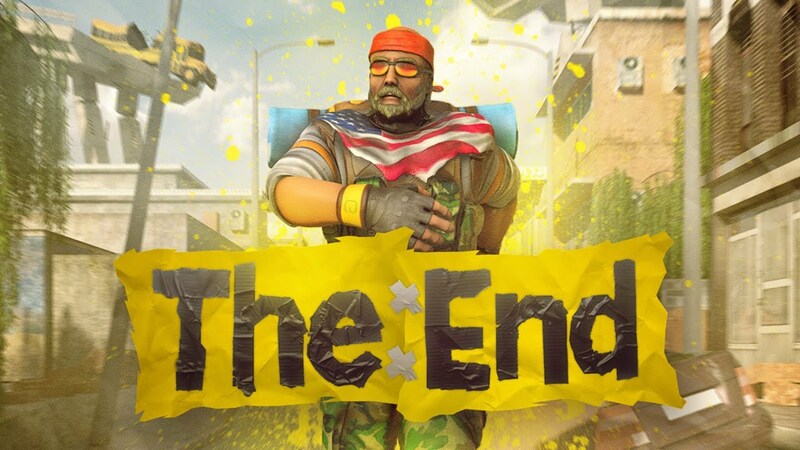 TheEndApp’s location is set in a post-apocalyptic world and you will find obstacles such as vehicles without wheels, lava, fire etc. Also, the game comes with an option that allows you to play the mission mode and stop “free running”. The game comes with a health bar, which means that if you hit a small obstacle, you will not die, but a part of your health bar will disappear. TheEndApp is free and can be downloaded from the App Store. Have you tried any of these games yet? Which one of these games do you enjoy playing the most? Previous articleFlickr, iCloud Photo Library, Google Photos or Photobucket – Store Your Photos On The Cloud Now!